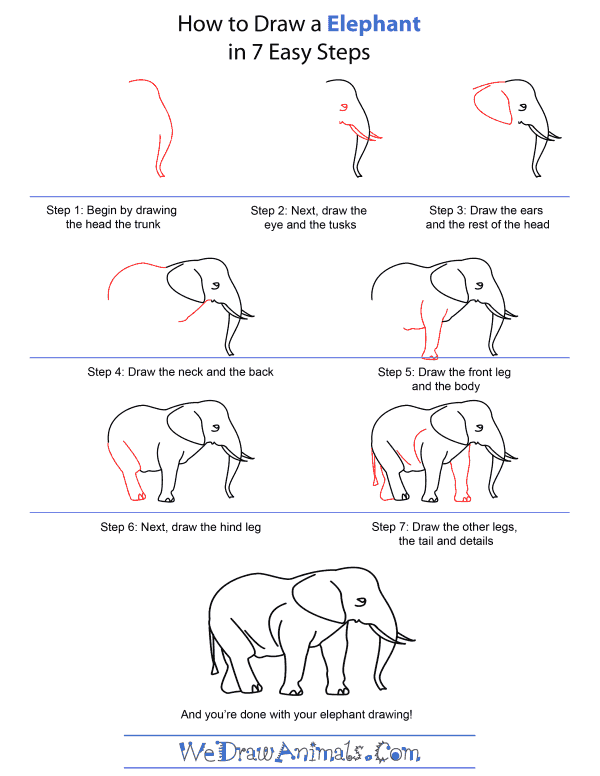 In this quick tutorial you'll learn how to draw an Elephant in 7 easy steps - great for kids and novice artists. 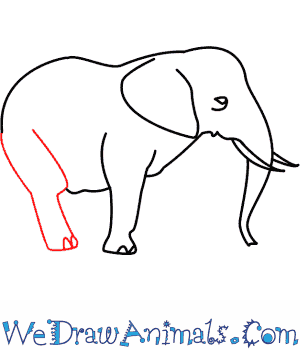 At the bottom you can read some interesting facts about the Elephant. Step 1: Start by drawing a long curvy bumpy forehead. This line leads directly into a long trunk. There is a short sharp curve at the very bottom. The tip of the trunk is very narrow. Draw the other side of the trunk line halfway up the line you just drew. Step 2: At the top of the line you just drew add a curved and pointy tusk. The tip of the tusk will extend beyond the front of the trunk. 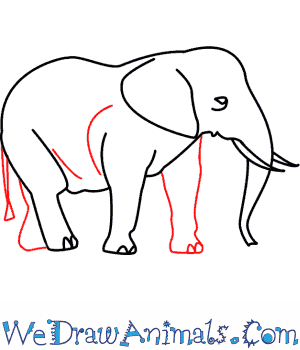 Draw a small squiggly line next to the tusk. This is the chin. 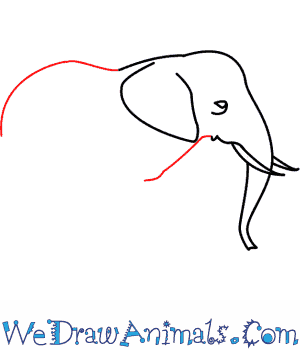 Next draw a large eye in between the top of the head and the tusk. Step 3: Extend the back of the head into a straight line back. Starting just below the head line draw the big floppy ear. They are round on the top and slightly pointy at the bottom. Make it the same size as the head. Step 4: Continue the back line into a large curve at the rump. Draw a line under the ear on an angle down to make the neck line. 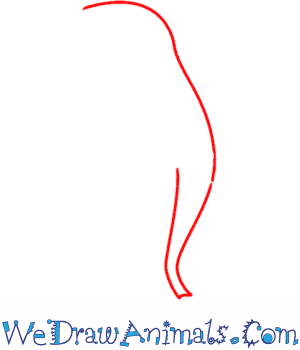 Step 5: At the end of the neck line you just drew start the very thick front leg. There is a side foot at the bottom of the leg. The foot is as wide as the leg. Draw the other line up almost up to the ear. Keep drawing a line back to make the belly line. Step 6: Continue the rump line down into the back leg. It is the same size as the front leg. Don't forget the oval shaped toes on the foot. Step 7: Starting directly under the tip of the ear add another front leg. It is a long straight line down to a wide foot and back up to the neck line. Just behind the back leg add another back leg. 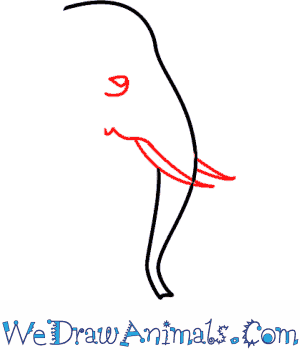 All you draw is the heel of the second back leg. Don’t forget to add the thin, short tail. It does not go all the way down to the bottom. Elephants belong to the Elephantidae family of land animals that include the Asian and African elephant and subspecies of them. Both types of elephants share a common ancestor that roamed the earth about 7.6 million years ago. Elephants are the largest land animals living on the planet today. 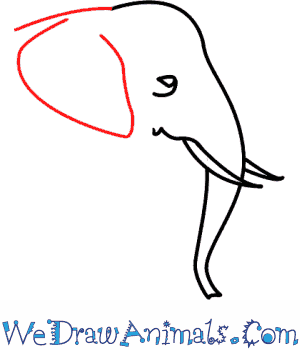 The African elephant has much larger ears and body than the Asian elephant. The largest elephant of all is the Savanna elephant, a subspecies of the African elephant that can be as tall as 13 feet and weigh as much as 26,000 pounds. Up to 690,000 elephants live in the wilds of Africa, while about 60,000 elephants live in Asia. The trunks of adult elephants are used to drink, to tear up their food before putting it into their mouths and used to greet other elephants – like a handshake. An elephant uses its tusks to dig for roots and water, to scrape bark off trees to eat and to clear paths. An elephant brain is similar to the human brain and elephants are extremely intelligent and able to display several emotions. 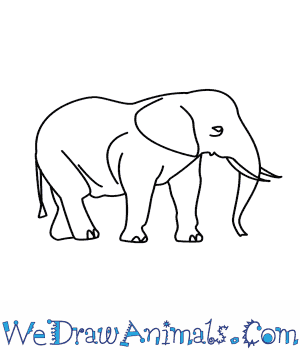 The elephant is quite exotic and has been featured in children’s books, movies and cartoons, worshiped in religions, and emblems of the elephant have been used by several political parties.